Dull Gret (originally Dulle Griet), also known as Mad Meg, is the subject of Flemish renaissance artist Pieter Bruegel the Elder’s oil painting Dulle Griet. Painted around 1562, the image portrays Dull Gret, a peasant woman, leading an army of women in an effort to pillage Hell, a mission which refers to the Flemish proverb ‘She could plunder in front of hell and return unscathed’. 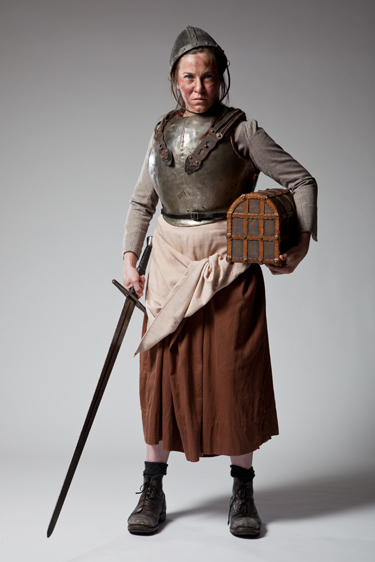 Dull Gret is pictured wearing an apron under male armour and carrying a sword. To this day there is little agreement about what the painting and the figure, Dull Gret, symbolise. In 1604 Dutch painter and poet Karel van Mander described Gret as ‘a Mad Meg pillaging at the mouth of Hell / seemingly perplexed / and cruelly and strangely attired’. In line with this description she became an image of violence, or the personification of evil. 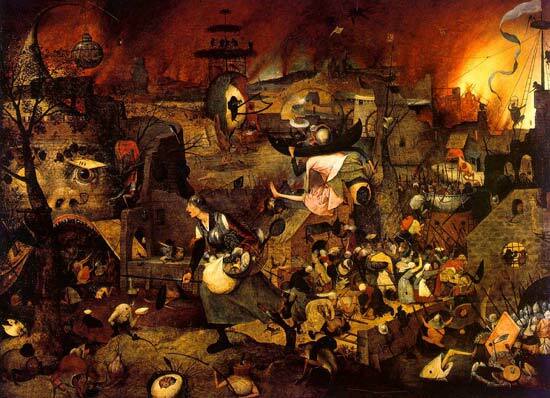 Since then, however, various religious metaphors and depictions of the Apocalypse have been ascribed to the painting, in addition to the suggestion that Dulle Griet is an allegory of madness. Most agree that, regardless of further meaning, it is a startling portrayal of a woman attacking the Devil without any evidence of fear or hesitation. Sarah Ogden will portray Dull Gret in the production of “Top Girls”: playing at the MTC Theatre, Sumner from 25 August to 29 September.